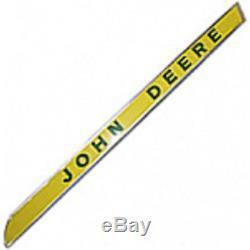 One New Aftermarket Replacement RH (Right Hand) Side Hood Molding Decal for John Deere Tractor models: 1010, 1020, 2010, 2510, 2520, 3010, 3020, 4000, 4010, 4020, 4320, 4520, 4620, 5010, 5020, 7020 Decal Only. For the LH Side, search our Store for Part # AR28049, or both for the Pair Part Number: AR28048. Only the 48 contiguous States in the U. 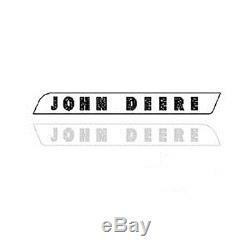 The item "RH Side Molding for John Deere 1010 3010 4010 4020 4320 4520 4620 5010 5020" is in sale since Monday, January 13, 2014. This item is in the category "Business & Industrial\Heavy Equipment Parts & Accs\Antique & Vintage Equip Parts". The seller is "stevenslake" and is located in Williamston, Michigan. This item can be shipped worldwide.